The Law Commission of India has submitted the 275th report titled LEGAL FRAMEWORK: BCCI vis-à-vis RIGHT TO INFORMATION ACT, 2005 to the Ministry of Law and Justice. 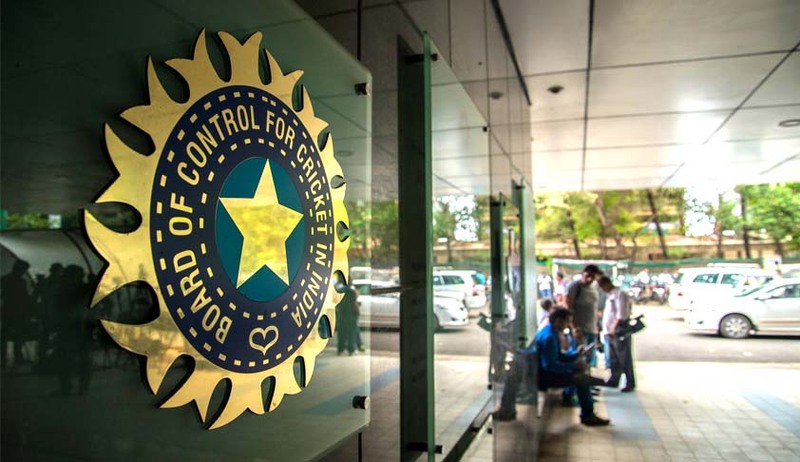 In the Report the Commission has recommended that that The Board Of Control For Cricket In India (BCCI) be viewed as an agency or instrumentality of State, under Article 12 of the Constitution, thereby making it amenable to the writ jurisdiction of the Supreme Court under Article 32. The Commission has also recommended that the BCCI should be held accountable, under all circumstances, for any violations of basic human rights of the stakeholders.Additionally, it is recommended that RTI Act be made applicable to BCCI along with all of its constituent member cricketing associations, provided they fulfil the criteria applicable to BCCI. The Supreme Court, in the Cricket Association of Bihar case, made reference to the Law Commission of India to examine the issue of bringing BCCI under the purview of the RTI Act, 2005 and make pertinent recommendations to the Government. LCI arrives at a conclusion that BCCI ought to be classified as ‘State’ within the meaning of Article 12 of the Constitution. An analysis of the functioning of BCCI also shows that the Government does exercise control over its activities and functioning. As was argued in the Zee Telefilms case that BCCI, falling in line with the foreign policy of India, did not recognise a player from South Africa due to their practice of apartheid; and that the cricket matches between India and Pakistan in view of tense international relations were made subject to Government approval. The foregoing positions BCCI as a ‘limb of the state’, and it should, therefore, be held to be ‘State’. The case law discussed in the preceding chapters also sheds light on the threshold of ‘control’ that the Government is required to have on a body under section 2(h) of the RTI Act. It can be deduced from the same that such ‘control’ is much lower in magnitude than what is required under Article 12 of the Constitution. Thus, the threshold for ‘public authority’ being lower than that of ‘State’ under Article 12, bastions the argument that BCCI would have to be covered under the RTI regime. Moreover, even if BCCI is continued to be regarded as a private body, but owing to its monopolistic character coupled with the public nature of its functions and the ‘substantial financing’ it has received from appropriate Governments over the years (in the form of tax exemptions, land grants et al) it can, within the existing legal framework, still be termed as a ‘public authority’ and be brought within the purview of the RTI Act. The Parliament and the State Legislatures chose not to enact a legislation to govern the sport of cricket reflecting tacit recognition on the issue afforded to BCCI. Recently, the Apex Court reaffirmed that BCCI is the “approved” national level body holding virtually monopoly rights to organize cricketing events in the country. (1) Non-consideration of the role played by BCCI as monopolistic in regulation of the game of cricket has resulted in the Board flying under the radar of public scrutiny, encouraged an environment of opacity and non-accountability. In the past, this has probably given an impression in the minds of the general public that corruption and other forms of malpractices are adversely affecting one of the most popular sports played in India BCCI exercises ‘State-like’ powers affecting the fundamental rights of the stakeholders, guaranteed under Part III of the Constitution. It is hereby recommended that BCCI be viewed as an agency or instrumentality of State, under Article 12 of the Constitution, thereby making it amenable to the writ jurisdiction of the Supreme Court under Article 32. (2) Human rights are sacrosanct and innately associated with the human personality. These rights are continually evolving, are to be respected by, and can be enforced against not only the ‘State’ but also private bodies/entities. Therefore, the BCCI should be held accountable, under all circumstances, for any violations of basic human rights of the stakeholders. 4) Additionally, it is recommended that RTI Act be made applicable to BCCI along with all of its constituent member cricketing associations, provided they fulfil the criteria applicable to BCCI, as discussed in this Report.